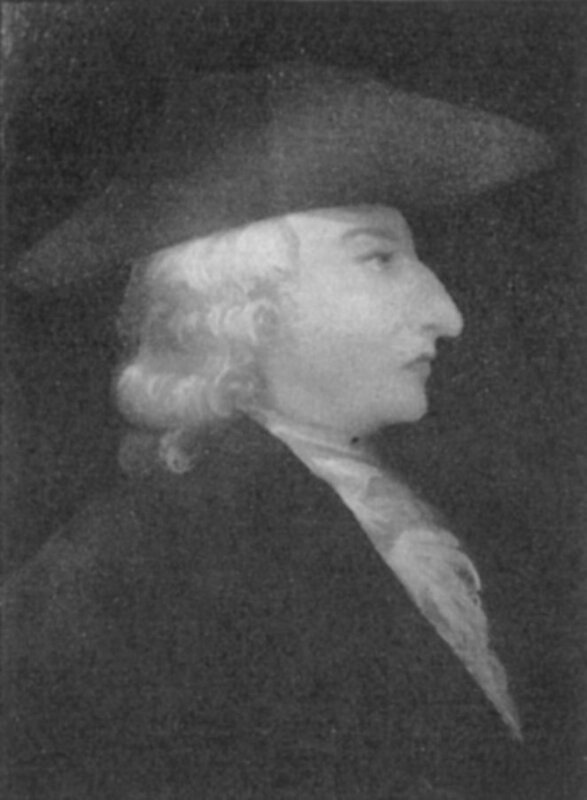 Little is known of David James Dove’s early history before his arrival in Philadelphia from England in December of 1750. Despite the fact that he was a recent and unknown arrival in the colonies, he was appointed English master in the Academy of Philadelphia because of his reputation as a teacher of grammar at Chichester for sixteen years. Dove became very popular at the Academy, causing the enrollment in the English school to increase to more than ninety by 1751. On August 29, 1751, Dove proposed in the columns of the Gazette to conduct a school for young ladies in the Academy building, in which they would be taught English grammar, spelling, writing, arithmetic, and accounts. He began boarding Academy students in his home in 1751, and opened a girls’ school in 1752 or 1753. Almost immediately after his arrival at the Academy, Dove established a reputation as a gifted instructor but stern disciplinarian. When the trustees made their first visit to the English School on January 14, 1752, they were pleased to find the students so well prepared for such a short period of time. Dove had original ideas about running a school, including the substitution of disgrace for corporal punishment. Once when he sent a committee to the house of a truant pupil, he instructed the committee to carry lighted lanterns and to loudly call the boy’s name as they proceeded. However, it was soon discovered that he employed two students, Edward Biddle and William Scull to assist him, and that he left the Academy twice a day, at eleven in the morning and four in the afternoon to attend to his own school, located in Videll’s Alley (now Ionic Street). The trustees insisted that he devote himself primarily to the Academy, but Dove refused and was forced to resign in 1753, being replaced by Ebenezer Kinnersley. Dove was quick to lose his temper and generally described as a very blunt individual. One of his former students, Judge Richard Peters, described him as “a sarcastic and ill-tempered doggerelizer, who was but ironically Dove; for his temper was that of a hawk, and his pen the beak of a falcon pouncing on innocent prey.” Yet he was so admired and respected by his students that many of them left the Academy upon his departure. Dove became headmaster of the Germantown Academy when it opened in 1762. Another quarrel soon separated him from that institution and he erected a house on an adjoining lot, where he established an opposition school. However, this undertaking was unsuccessful, and shortly abandoned. Another school which he started in 1768 near Front and Arch streets in Philadelphia died with him in 1769. Dove is said to have been a fine scholar and distinguished for his powers of elocution. He was a writer of poetry compositions, which were generally political or personal satires. Dove was also a caricaturist of considerable reputation.